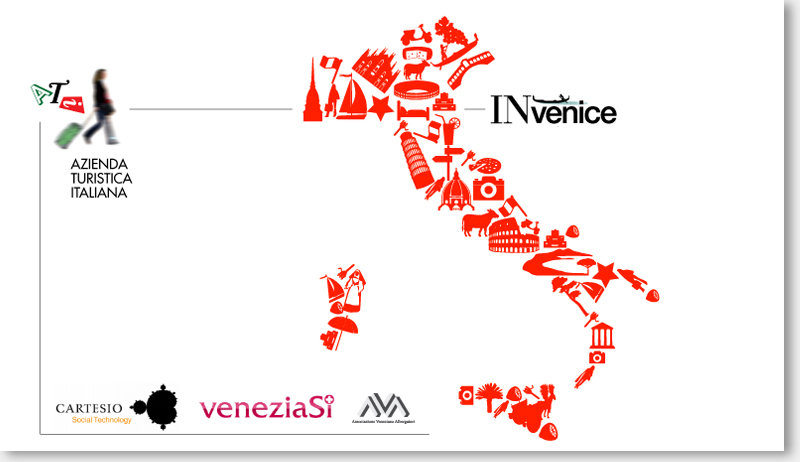 InVenice is an initiative of A.T.I srl (Azienda Turistica Italiana). A.T.I. is a joint venture between VeneziaSì srl., a trading company of Associazione Veneziana Albergatori and Cartesio srl company of technological innovation-oriented to the social web. In its present and its future is the realization of a network of portals focused on individual incoming places of tourist interest in promoting and brokering of resources devoted to tourism.